Finite-state Machine is a computational model that performs calculations automatically on an input to produce an output. Computing not necessarily is about IT, just like statistics is not only for Economics. This article on Finite-state Machine (FSM) simplifies the bigger theory. Possibly there is no such easily digested form of the concept available for on Finite-state Machine (FSM), like this, at the time of writing. This model, Finite-state Machine consists of a set of states and a set of transitions between these states. Its operation is based on a transition. Combination lock is the best example of basic Finite-state Machine. I have set number – take that it is 4049. If you do not match this right order of digits – 4-0-4-9, simply the lock will never open. Primitive usage of Finite-state Machine (FSM) is in electronic design, communication protocol etc. The sophisticated usage is in Artificial Intelligence, Computational Neuroscience, Neural Modeling and various other fields of Cognitive Neuroscience etc. It is used in Machine learning too. Ultimately we have to use it in some programmable logical device or in logic gates or in some software. 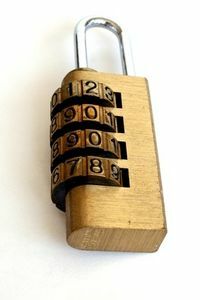 As you are human, you can conceptualize and imagine a combination lock, I gave you the example digits. But a computer will not understand in the way a human will do. For that reason, we basically write in symbolic forms – that is the formula. Formula means mathematics. So one of the model of Finite-state Machine is Mathematical model. You can simply take that, this Mathematical model is mostly used in practical usage. Actually Finite-state Machine (FSM) or Finite Automaton (FA) is quite complex. Take that, in the beginning of the process of recognizing a string of entry, the finite state machine is in the initial state and as each symbol processing chain changes its status as determined by the transition function. Compare with my combination lock model. When it has processed the last symbols of the input string, the system stops at the final stage of the process. If the final state in which it is stopped is an accepting state, then the string belongs to the language recognized by the automaton, otherwise, the chain does not belong to that language. It is all or none law. Either the lock will open or will not open. In your body, inside every cell this Finite-state Machine (FSM) or Finite Automaton (FA) is running. Four Amino Acids and their sequence. A very very complex computing strip. This Article Has Been Shared 4341 Times! Cite this article as: Abhishek Ghosh, "Finite-state Machine (FSM) or Finite Automaton (FA)," in The Customize Windows, December 30, 2012, April 18, 2019, https://thecustomizewindows.com/2012/12/finite-state-machine-fsm-or-finite-automaton-fa/.